A 15" LCD touch screen makes this the ultimate treadmill a stand out amongst any treadmill on the market. 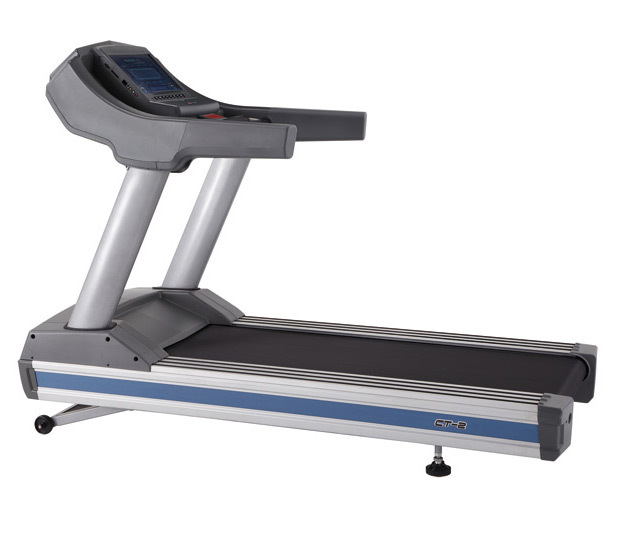 With a powerful 5HP AC motor this treadmill will stand up to any test. Robust and durable the Aristo CT-3 Treadmill will be the deal breaker for your new members! Program: Manual, Time , Calories, Distance, Walking, Running, Cardio, Interval, Fat Burn, Endurance, Time, Heart Rate Control. Console Feedback: Heart Rate, Laps, Elevation, Time, Speed, Calories, Distance, Pace, Avg Speed. Warranty: Club Use (commercial) 3 Year Motor, 2 year Drive System, 2 Year Labour, 1 Year Parts and elevation.